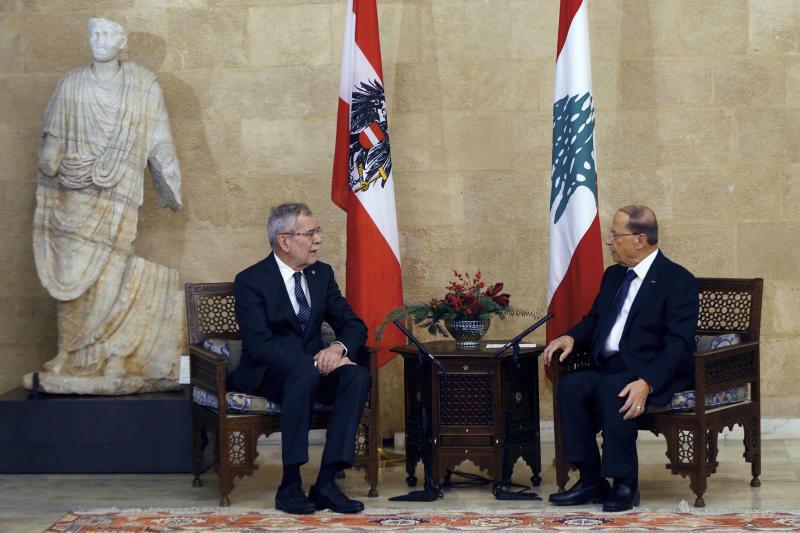 BEIRUT (AP) — Lebanon's president said Tuesday Israel's operation to destroy what it says is a series of cross-border attack tunnels built by the militant Hezbollah group won't endanger the calm along the frontier, adding that his country takes the issue seriously. 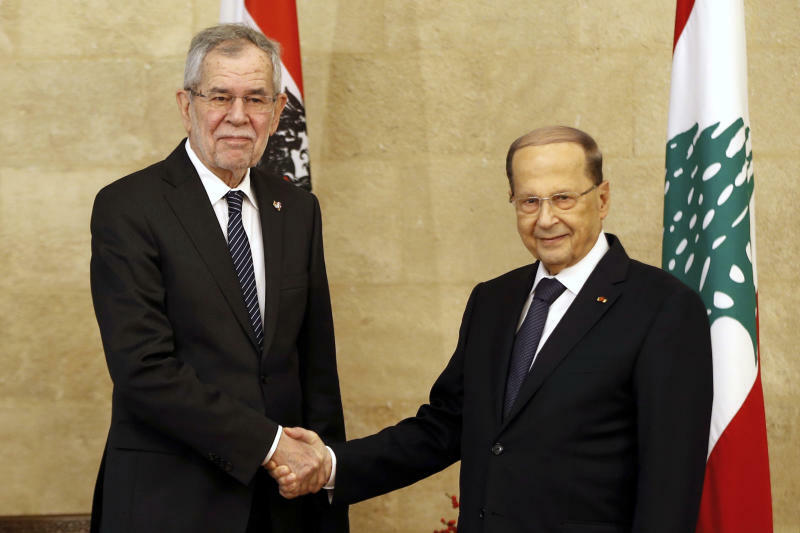 Michel Aoun spoke hours before Israeli Prime Minister Benjamin Netanyahu visited the border where he said the Israeli military has discovered a third tunnel. "If Hezbollah makes the big mistake and decides in any way to harm us or to resist the operation we are conducting, it will be hit in a way it cannot even imagine," said Netanyahu. The Israeli army said its soldiers placed explosives in the tunnel revealed Tuesday, warning Iran-backed Hezbollah against entering it. Netanyahu said an Israeli military delegation is heading to Russia to explain the border operation. The meetings with Russian counterparts are scheduled for Wednesday. "It will make it unequivocally clear that Israel maintains its right and obligation to act against an Iranian military entrenchment in Syria, also a Hezbollah entrenchment in Syria and that of Iran's proxies here, in their attempt to dig tunnels under the border," Netanyahu said. Shortly before the launch of the operation last week, Netanyahu flew on a surprise trip to Brussels where he met with U.S. Secretary of State Mike Pompeo to discuss the operation. The peacekeeping force, or UNIFIL, confirmed the presence of two tunnels along the border. The mission's head, Maj. Stefano Del Col, said he met with Aoun and Lebanon's parliament speaker Tuesday and informed them that UNIFIL experts have inspected two tunnels near Metulla, along the border north of Israel. 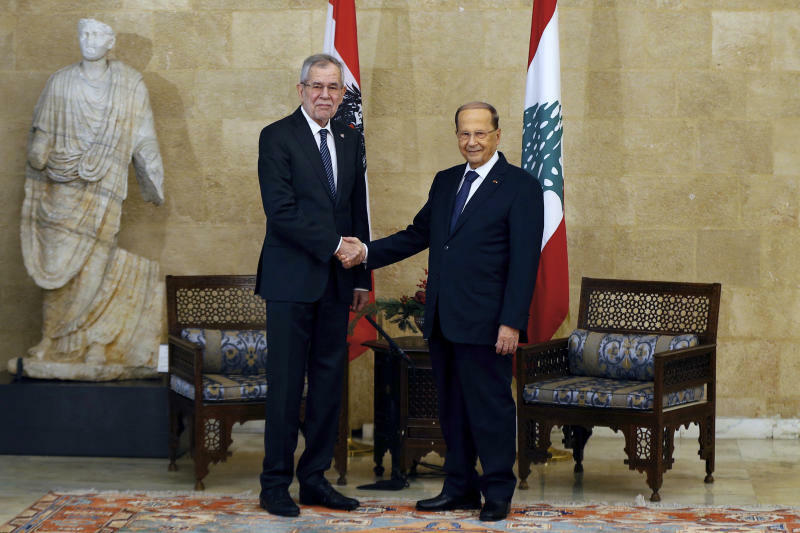 Aoun, a Hezbollah ally, said that Lebanon is prepared to address the issue after assessing a full report on the situation. Israel launched an operation on Dec. 4 to destroy a series of tunnels, showing one to U.N. peacekeepers and calling it a violation of the cease-fire that ended the 2006 war with Hezbollah. De Col said the inspection of tunnels is a "work in progress" and vowed that UNIFIL will "make every effort to maintain clear and credible channels of communication with both sides so that there is no room for misunderstanding on this sensitive matter."